This node flips the Y values of a terrain. To add a Flip Y node, right click in the Graph Editor and select Create Node > Terrain Transformation > Flip Y. This node has no parameters. 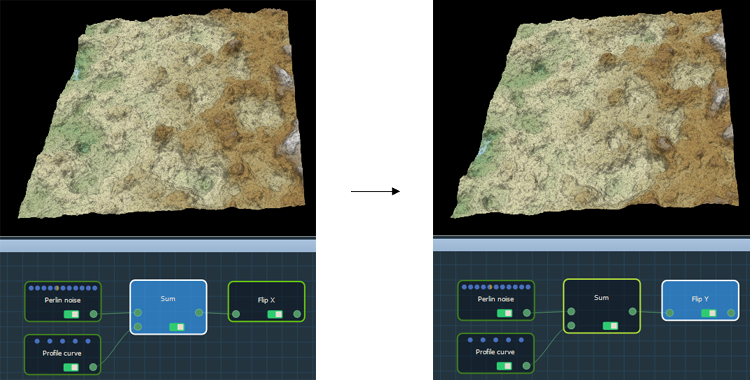 Link the Flip Y node to an input node; it flips the Y values of the terrain.